Here at Flat-Out we’re big fans of Tobias Moers’ mental super saloons. Maybe it’s the muscular styling or maybe it’s the effect powersliding a car otherwise suitable for foreign dignitaries has on us. 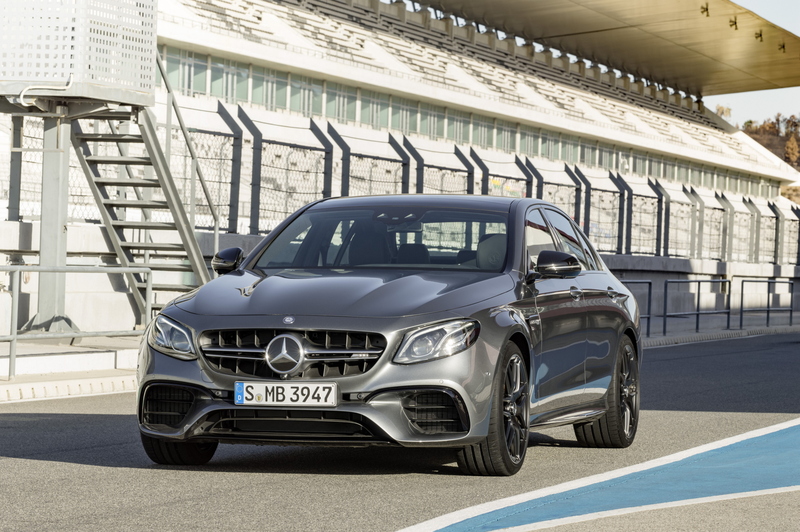 The new Mercedes-AMG E63 4MATIC+ is no exception to this rule and now we know how much it costs. Starting at £78,935 for the ‘standard’ 571hp Mercedes-AMG E63 4MATIC+, the price of the skunkworks-fettled E-Class rises to £88,295 for the hotter E63 S version, which packs a potent 612hp punch from its 4.0-litre twin turbo V8. If you really want to splash some cash though, Merc has also announced an AMG E63 S Edition 1, available for a slightly more eye-watering £106,585. The launch edition model adds 20-inch cross spoke black alloys, ‘Designo Selenite Grey magno’ paint and the AMG night package (think plenty of black exterior detailing) into the mix as standard. The Edition 1 E63 S also gets AMG sports seats, a Dinamica steering wheel with yellow stitching and carbon fibre trim. Of course, the standard Mercedes-AMG E63 and E63 S also come with a range of options (for various wallet-wincing amounts). Leading the way is Merc’s carbon ceramic brakes, the composite stoppers yours for a mere £6,995. A performance exhaust system can be added to all AMG E-Class models for £1,000 while a carbon fibre package (comprising front splitter, side sills and rear bumper) adds an extra £3,370 to your E63’s list price. On the tech front, there are a number of stereo options, with the Burmester surround sound system leading the way as part of the £2,595 Premium package (which also adds a panoramic sunroof and intelligent LED lights). In other words, the world is your oyster with AMG’s muscular saloon, as long as that oyster has a fairly substantial chequebook with it.